Presented in Mannheim (Germany), during the European event DIRECTIONS EMEA 2015, the latest version NAV 2016 of Microsoft Dynamics NAV, the Microsoft international ERP dedicated to multi-countries SMBs and large international Groups local subsidiaries, brings a lot of new features, allowing NAV to be more mobile and user friendly than ever. Dynamics NAV 2016, when hosted in Microsoft Azure helps companies accessing from everywhere to its ERP features, not only from a computer, but also from a Tablet, or a Smartphone (Multi-OS). – Optimized interconnection between Dynamics NAV 2016 and Dynamics CRM : This embedded connector allows a real time update of a solution with data coming from the other solution (indistinctly Dynamics CRM or Dynamics NAV). Another new feature, this connector can be improved in order to include customer’s specific new fields ! – Optimization of the use of Azure SQL service : Dynamics NAV 2016 is build to use natively Azure SQL, as a Database-as-a-Service, reducing deployment and maintenance costs. Azure SQL offers a 99,99% availability (SLA), built-in redundancy, security features, resilience, point-in-time recovery and attractive pricing. – Availability of Dynamics NAV Extensions : Dynamics NAV 2016 extensions will improve the way to develop new features or Apps around Dynamics NAV. Instead of including them within the NAV code, these features can be part of external packaged extensions, in order to easily install, upgrade or remove them. These extensions can also use a new concept from Dynamics NAV : Events (kind of triggers). – Availability of a Test Automation tool, for testing developments : New developed features need to be tested. Dynamics NAV 2016 offers a way to test those tests in order to decrease the time usually needed for manual testing. It is definitely a step to repeatability. – Improvement of Finance features : As the center piece of the ERP, Dynamics NAV 2016 Finance functions have been improved, in order to save time, improve the ease of data entry and add new finance features within the core solution. By the way, user experience is also improved for bookkeepers and accountants. – Documents management and OCR : Dynamics NAV 2016 includes several enhancements regarding incoming documents management. It is now easy to capture, store and find out documents using OCR service (Lexmark Invoice Capture Service), to create automatically purchase invoices or general journal lines. 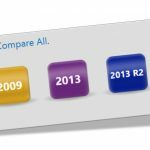 – Optimization of the NAV Workflow engine : The Dynamics NAV 2016 workflow engine offers customers to model company business processes. These workflows focus on 3 dimensions : Approvals, Notifications and Process automation. – Microsoft Dynamics NAV application for Smartphones and Tablettes (Multi-OS) : Dynamics NAV 2016 universal App offers a reliable and simple access for PC, Tablets and Smartphones (Multi-OS). This App delivers a role-tailored experience based on user rights through a fast, fluid and touch optimized interface. – Electronic Documents and Invoices management (European PEPPOL format) : Dynamics NAV 2016 includes improvements related to online services, such as PEPPOL invoices or currency exchange rates. All these features and improvements place Microsoft Dynamics NAV in a leading position among multi-countries SMBs’ ERP solutions and ERP solutions for large international Group’s subsidiaries. In such position, Dynamics NAV is proposing a credible alternative ERP solution to those so called “major” ERP solutions. This NAV 2016 version of Dynamics NAV has been revealed early October 2015, during Directions EMEA in Mannheim, and is therefore already available with 25+ official localisations, and will regularly receive additional localisations handled by reliable local partners (around 40 additional localisations). This large number of localisations place Microsoft Dynamics NAV as the most international Mid-Market ERP solution ! More detailed information available within the official Dynamics NAV 2016 brochure, to be downloaded here. 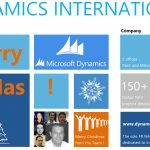 Fell free to request the help of Dynamics International experts for your international ERP deployment project, or your Dynamics NAV update project towards NAV 2016 !